Since October 2008, Cleveland Tech Events (ClevelandTechEvents.com - @ClevTechEvents) has been keeping track of the various technical user groups throughout the Cleveland area. 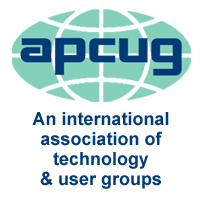 What started as a list of 4 or 5 user groups now tracks over 60 different user groups - from programming languages to methodologies to security to social media and everywhere else where there's a technical lean. Cleveland Tech Events is the dream of, currently owned by, and run by Sarah Dutkiewicz (CodingGeekette.com - @sadukie). Sarah has been a Clevelander for most of her life - except for 4 years to get her Bachelor of Science in Computer Science & Engineering Technology from the University of Toledo. Not only does she track the community for her site, but she also is very involved in the tech community. She speaks at user groups & conferences on various topics - including web development, user experience for developers, PowerShell, and open source software. She also helps organize various technical events throughout the region. Her overall goal is to continue to help the technology community in Cleveland to thrive.